The Rhoads Building, Boyertown, PA, circa 1905. 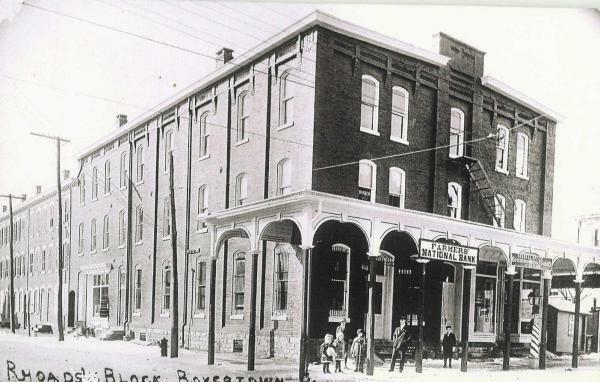 In the early 1900s, Boyertown’s public theater was located on the second floor of the Rhoads Building on Philadelphia Avenue. On January 13, a fire started by a kerosene lantern killed 170 men, women, and children during a church-sponsored play. One of the deadliest fires in Pennsylvania history, the Boyertown fire killed more people than the infamous Triangle Shirt Waist Fire that shocked the nation in 1911.